For over 35 years, Cullen's Fruit & Veg has maintained an exceptional reputation for freshness, taste and quality. We offer an enormous range of different cuts of fruit and vegetables for Irish Restaurants, Hotels and Supermarkets. 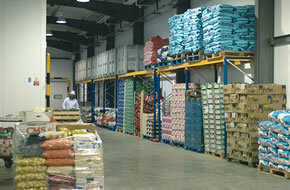 All produce is prepared at our own state-of- the-art processing facility. Everything from washing and slicing, to packing, labelling and bar-coding can be completed under one roof, under expert supervision and at a constant, controlled temperature. So, however you want your produce, they’ll arrive clean, fresh and cut to order.